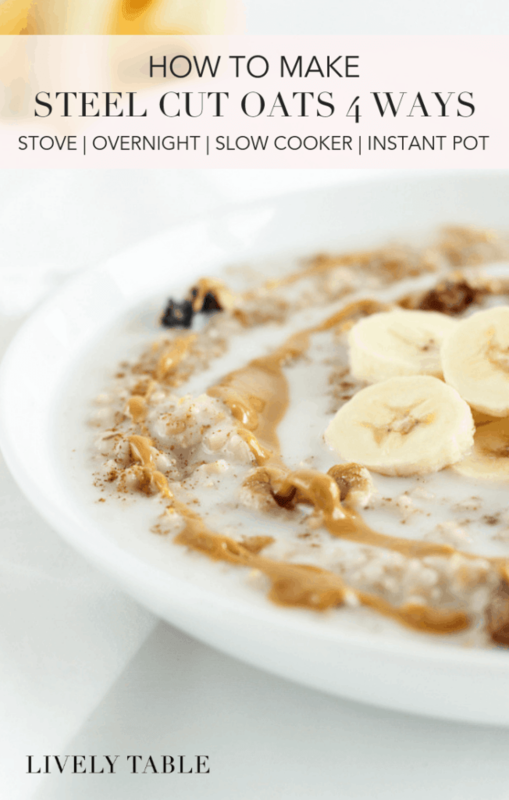 Learn how to make steel cut oats on the stove top, in the slow cooker, in the Instant Pot, or overnight in this ultimate guide to cooking a delicious bowl of creamy, nutty steel cut oatmeal. Mr. Table will eat regular ol’ oatmeal most days if I fix it, but he really likes steel cut oatmeal best. 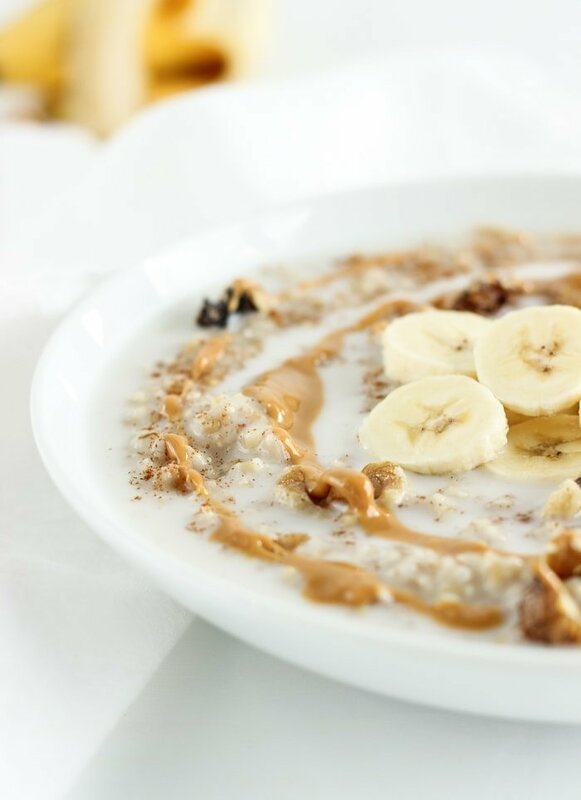 There is nothing better on a cold day (there’s been no shortage of those lately) than a hot, creamy bowl of slightly chewy, nutty steel cut oatmeal with all of your favorite toppings. Too bad steel cut oats take so dang long to cook. If you’re intimidated by the thought of cooking steel cut oatmeal, don’t be. It’s really very easy and totally worth the effort. I’ve put together the ultimate guide on how to make steel cut oats for whichever way you prefer! Don’t have an extra 35 minutes in the morning to prepare breakfast? No problem, try the overnight or slow cooker method. Rather prep your oatmeal on Sunday? Great! Use the traditional stove top method or the Instant Pot. Whatever fits your lifestyle and schedule. That’s why I included instructions for all of them! Just a quick note: You’ll want to look for regular steel cut oats, not quick cooking. These recipes only work for the regular kind. I like the richer flavor that comes from toasting my oats before cooking them, but that step is completely optional. I understand that some days ain’t nobody got time for that and the oats are going right into the pot. No worries! You’ll still get lovely steel cut oatmeal. If you prefer a creamier oatmeal, you’ll want to cook them towards the longer cooking time. You can also substitute half or all of the water for milk (except for in the overnight method). If you prefer more of a bite, cook them a little less time to yield more chewy oats. Once you’ve become a steel cut oatmeal pro, have fun with your toppings, they are the best part, after all! I like to use any fruit that I have in the fridge with some nut butter, ground flaxseed and milk. 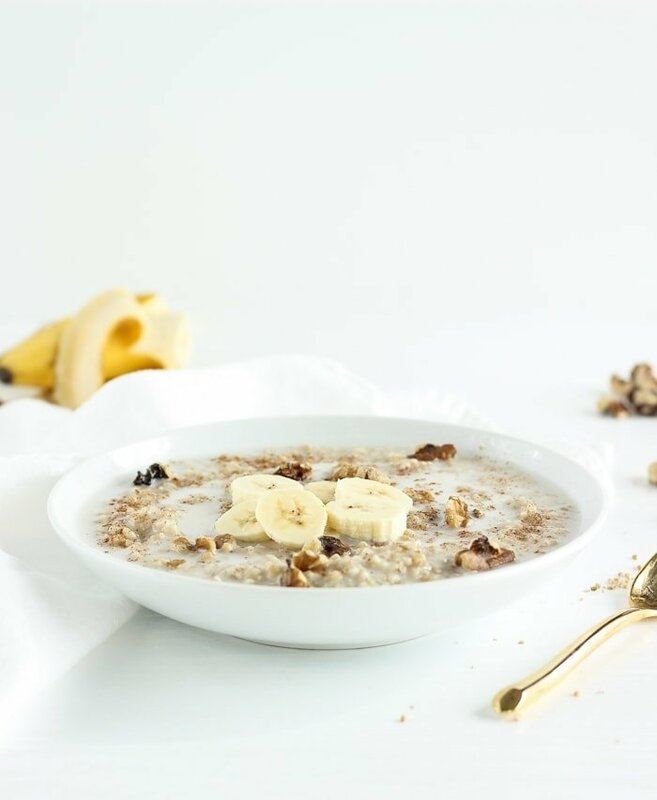 Use your imagination and create your own perfect bowl of steel cut oats! Visual learner? Here’s a quick video I made for you on how to make steel cut oats 4 ways! Optional: toast oats. 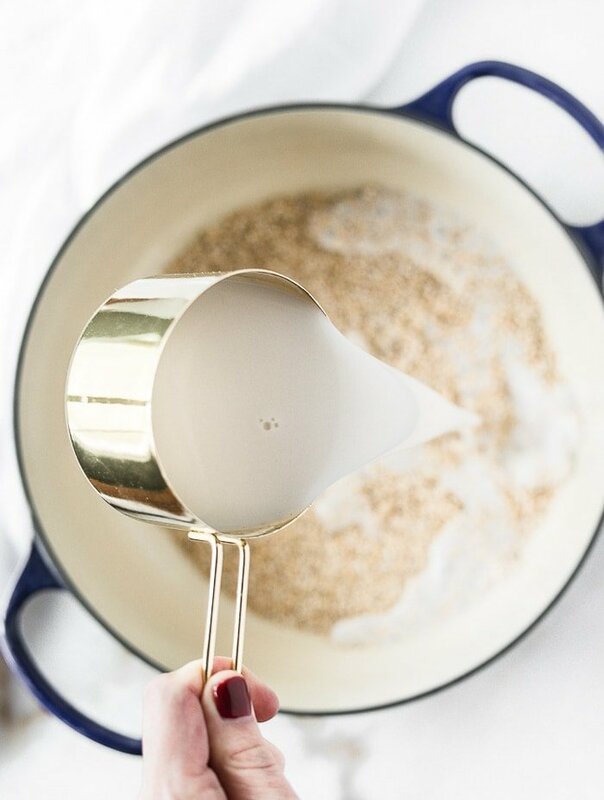 Heat uncooked steel cut oats in a skillet over medium-low heat until lightly golden and fragrant. Remove from heat. In a medium saucepan, bring water to a boil. Add oats and stir. Cover and simmer 20-30 minutes over low heat until oats reach desired doneness (20 minutes for chewy oats, 30 minutes for more creamy). Scoop into bowls and top as desired. Cover and remove from heat. Let sit overnight. In the morning, add 1 cup milk and heat over medium-low heat until warmed through. Add oats and water to bowl of a slow cooker. Stir. Cover and cook on low setting 7-8 hours, or overnight. Stir and scoop into bowls. Top as desired. Generously spray inside of pressure cooker or instant pot with cooing spray. Wipe any excess from the rim. Add oats and water. Close lid and lock. Cook on high setting for 4 minutes. Remove from heat or turn heat completely off (not warm setting). Release pressure naturally, about 10 minutes. Once pressure has released, remove lid and stir. Add 1-2 tbsp water or milk of choice to oats and stir. Heat in a small pot over medium- low heat or microwave 1 1/2 – 2 minutes. If I make 1 c. How much will it yield? How long is it good in the fridge? I eat mine w 1T slice almond and 1 tsp honey. Hi Emma, 1 cup of oats yield about 4 cups cooked. It should last about 5 days in the refrigerator. Thanks for stopping by! You should give making them in a rice cooker a shot. I have a 3 cup cooker and start it on brown rice setting when I take my dogs for a walk. Can only get the quick cooking locally but so much better than rolled oats. 1 cup oats to 2 cups water. Best I can do here.